In honor of Father’s Day, I wanted to highlight an aspect of the transition to new fatherhood which tends not to get as much attention from the media—the disconnect between how involved the current generation of dads is expected to be, and how largely uninvolved in the care of infants our own most important models tended to be, meaning our own dads and father figures in the previous generation. A wealth of research over the past 30 years or so shows that fathers spend a higher percentage of our time in play relative to moms, and that moms spend a higher proportion of their overall time with their babies as compared with dads. However, as women are now engaged in more work outside the home than ever, so are men now assuming more of the domestic care than ever before in US history. Even beyond the generational modeling issue, enacting the role of a more highly-involved dad can also result in experiencing the psychological phenomenon of gender role conflict. In a nutshell, gender role conflict reflects the discomfort that a person feels when acting in contrast to his or her traditional gender norms. Experiencing this conflict is one factor that can result in lower levels of paternal involvement with their babies as well as having an increase in perinatal mental health issues, including anxiety and depression. Yes, fathers get them too. Furthermore, both men and women receive this socialization about what it means to be a man and, more specifically, the father of an infant. Given that, for most men, feeling psychologically vulnerable is like kryptonite, stepping up to really take care of his child during the perinatal period in which he most likely believes that he is somehow biologically inferior to mom (no research supports this position) reflects a giant step into vulnerability. 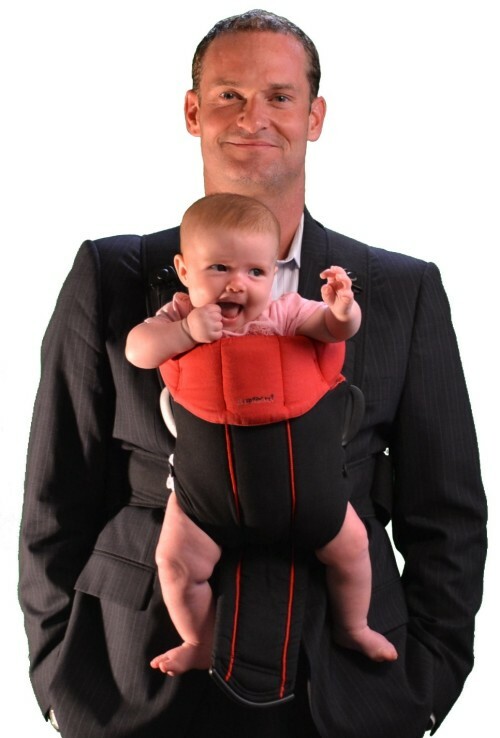 In this way, both partners might simultaneously feel the need to have the father more involved with his infant, while unknowingly putting up barriers for him to do so due to outdated beliefs about “what makes a man.” So, while playing with a baby isn’t too bad of a violation of “The Bro Code,” activities such as changing diapers, singing to infants, and giving a bottle fly squarely in the face of what men’s traditional socialization and their own fathers’ modeling suggest is proper parenting. Here’s the rub. These are exactly the types of activities that are not only more commonly expected by society and dads themselves – but also there’s a large body of research which shows that when a dad is highly involved with his infant and newborn, the child shows all kinds of great outcomes down the road including increased school readiness, higher IQ, better emotional regulation, higher willingness to explore her/his environment, and of course a stronger attachment to dad. So, what to do about it? In my classes and clinical work with new dads and couples, I commonly encourage them to read up on masculine socialization and how it impacts being a father and a partner. Your average dude simply hasn’t spent much time thinking about how he’s been socialized in terms of his masculinity (or “dudeness”), yet his sense of being a man is the foundation upon which his fatherhood role is built. One way to get some more insight is to read chapters 1 and 8 of Kilmartin and Smiler’s (2015) book The Masculine Self. It’s an easy read that sets the stage for men to have greater insight and couples to have a productive dialogue about how masculinity relates to fatherhood. Similarly, having fathers and mothers reflect on their own experiences and discuss their stereotypes about “the ideal dad” helps them identify areas of overlap as well as concerns. At the end of the day, the most important point is for dad to be as engaged with his baby as soon as possible, so I hope you all have a very happy – and highly-engaged—Father’s Day this year! Dr. Daniel Singley is board certified in clinical psychology, and is on the Boards of Postpartum Support International as well as the American Psychological Association’s Society for the Psychological Study of Men and Masculinity. His research, consultation, and clinical work focus on men’s issues with a particular emphasis in men’s perinatal mental health. He founded the Center for Men’s Excellence in San Diego to help men, fathers, and couples to thrive even when dealing with life’s inevitable challenges. In his free time, he likes to surf, cook, and take his boys on hikes to throw rocks at things. Dr. Singley facilitates PSI’s monthly telephone Dads Chat, and you can follow him on Facebook or online at www.menexcel.com.